You're outside, braving the cold winter air. The wind is blowing in the direction of your face, because isn't that always how it goes? You keep your lips pressed together in an effort to save them, but lo and behold, you get home and they look like they've been through hell. 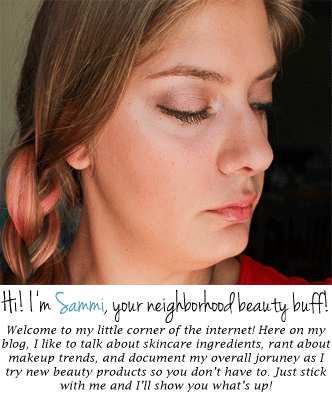 Plus, they hurt, which diminishes your desire to leave the house even more. The problem: Your lips are dry and peeling. 3) Do-It-Yourself (DIY): If you have access to a kitchen, or you just keep a lot of food in your room, the easiest and cheapest lip scrub is just combining honey and sugar! The honey is moisturizer, and the sugar will as as the exfoliant/scrub, sloughing off all the dead skin and revealing fresh, new, beautiful lips. Note: Remember to apply lip balm after using a scrub! Try: A heavy-duty lip balm! The problem: Your lips are cracked at the corners. I know this is for babies when the get diaper rash, but just hear me out! When I went to the dermatologist and told him that the corners of my mouth kept cracking, he told me to pick up a tube of this. What it does is it creates a barrier (much like many other products in this post) between your lips and the rest of the world. I like to put this on every night before I go to bed, and although almost all of it is gone by the time I wake up (I move around a lot in my sleep), the corners of my lips are crack-free! This is also good for you drool-ers out there (it's okay, you don't have to admit it to me) or if you wear a retainer (because I know I'll probably be wearing mine for the rest of my life). I've had this tube for years and it will probably last me until I'm at least 25, since you only need a tiny dab on each side of your mouth. I've never put it all over my lips, since you could wind up accidentally eating it (it might not be toxic, but still), but it does a great job on preventing cracks! Because I know I love salty food, and getting salt into the corners of your cracked mouth is a thing I only wish upon my greatest enemies. You come inside after a brutally cold day and take off your twenty layers of clothing. As you're changing into your pajamas, you realize how dry your skin feels. Oh, yeah, and it's cold. But heat is too expensive so you just put on five more layers and call it a night. Problem: Your hands are dry and itchy. I don't mess around when it comes to hand cream. If I'm home, I try to apply lotion to my hands after every time I wash my hands. I usually wind up having to skip this when I'm out, but I always make sure to moisturize when I get back to my room! Make sure to really treat your hands before you go to bed, since you won't be using them for (at least) a few hours, letting them actually get a chance to heal. I really like this one by Perlier, which I got in my November Birchbox. It's a little pricey, but it's one of my favorites, and it smells like biscotti. A good one from the drugstore is the Neutrogena Norwegian Formula! I know my cuticles can get especially dry in the winter, and if my hands are in water a lot that day, they start to crack (which can be pretty painful). Every night, I like to slather on a cuticle oil or balm on my cuticles, which in turn keeps the rest of your nails strong. While you're at it, just rub it all over your nails. I'm not too terribly picky when it comes to cuticle products, so I'm just using what I have on hand right now, which is this and my Egyptian Magic Skin Cream from my June Birchbox. If my cuticles look pretty okay, then when I'm usually my hand cream I'll just be sure to rub a bit of it onto my nails for maintenance. Vaseline isn't necessarily moisturizing per se, but it does act as a wonderful barrier to seal in any moisture your skin has left. Some people are against petroleum jelly since they think it's automatically bad since it's a fossil fuel byproduct. Truthfully, they're worrying needlessly, since obviously the cosmetic grade is different than the kind that is used for other purposes. You're not going to die if you ingest some, but you probably shouldn't eat the whole jar out with a spoon because you might get diarrhea. Yes, I actually looked into this. Vaseline is especially good to use in the winter, because when you have the heat blasting (at least if you live in New England, you do) it can really dry out your skin. If you don't have Aquaphor, just use any good lip balm you have and put a coat of Vaseline on top of it. If you have super dry skin, you can use this to remove your makeup at night (don't worry, it's physically impossible for this stuff to clog your pores due to the size of the molecules), though you might want to wash your face after to wash off the residue/film it'll leave on your face. If my hands feel particularly dry (which happens a lot, since your skin is very thin on your hands and doesn't produce a lot of oil), I'll apply a nice hand cream and then apply a thin coat of Vaseline on top of it. The hand cream will actually moisturize while the Vaseline will create a moisture barrier that keeps hydration in. It's fool-proof! This method will work with your feet, too, or anywhere else that gets dry or itchy. Though if you're going to use it on your feet, I recommend using a scrub of some kind beforehand, since the skin on the bottom of our feet can get rough and the dead skin will prevent the moisture from being absorbed. Of course, you can finish with fuzzy socks! If I have one fashion essential for winter, or really any season, it would be fuzzy socks. When in doubt, really just douse yourself in Vaseline and you'll get through. (Read more: Road Trip Beauty Essentials). What's your favorite skincare tip for getting through the winter? My favorite tip is to just not live in New England, basically. 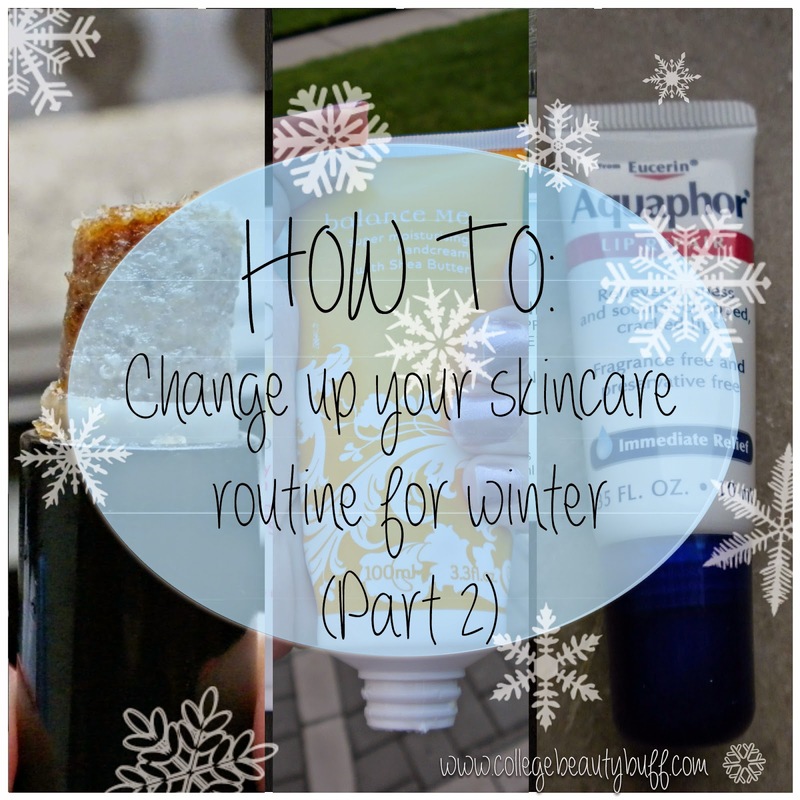 Want to see more winter skincare tips? Click here for part one of this series! Disclaimer: Not sponsored. No affiliate links. All products mentioned were either purchased by me or given as gifts from friends/family. Shazam. Wham. Alakazam.